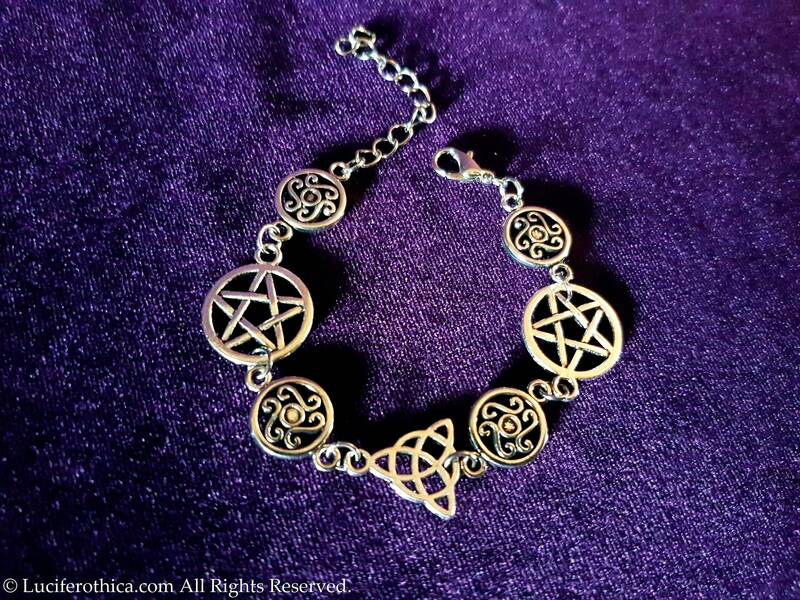 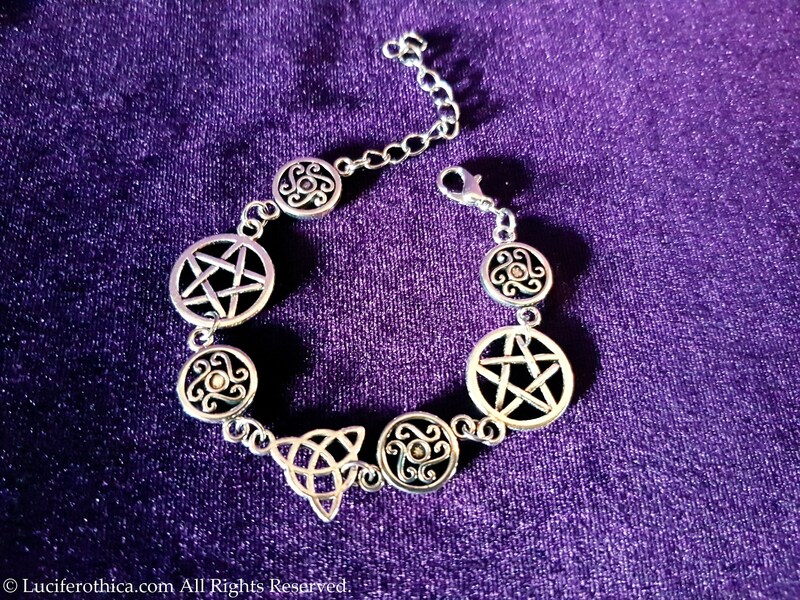 Handcrafted bracelet containing 2 pentagrams & 4 shield like ornaments. 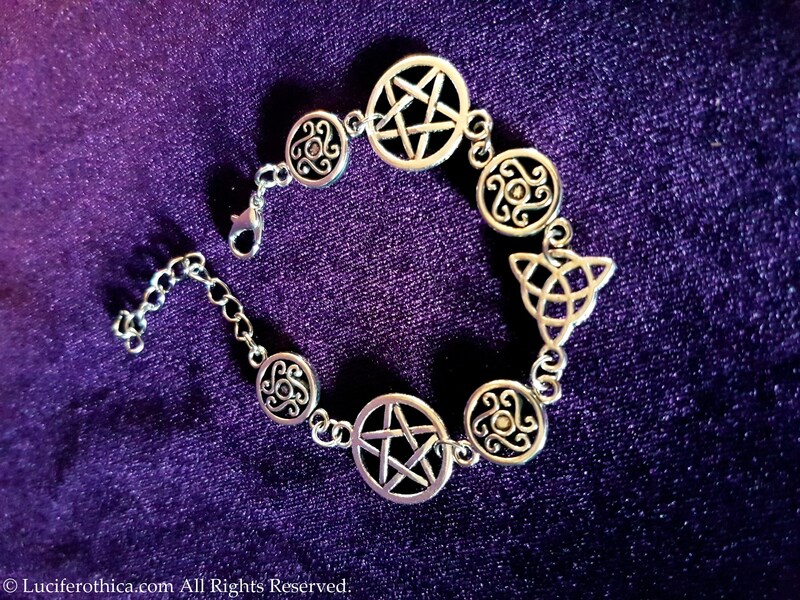 Triquetra symbol in the middle. 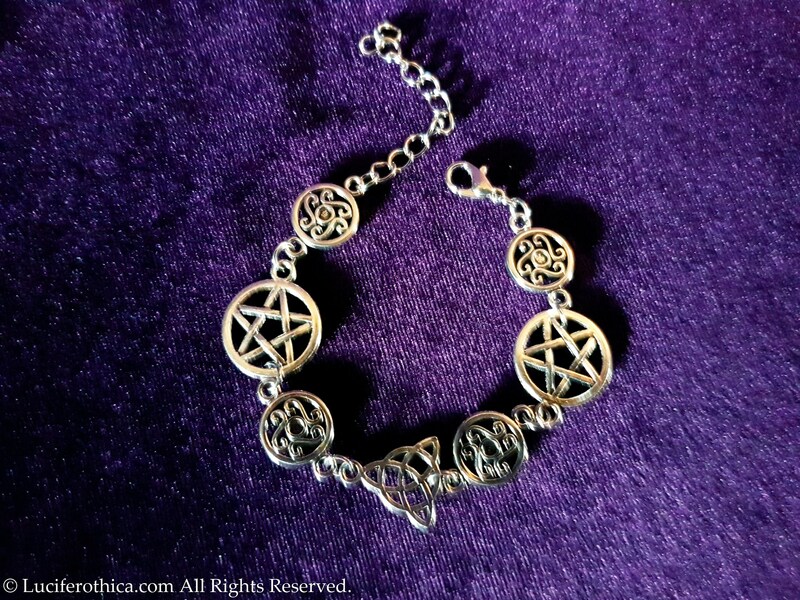 The bracelet is adjustable in lenght with 5 cm long extension chain.